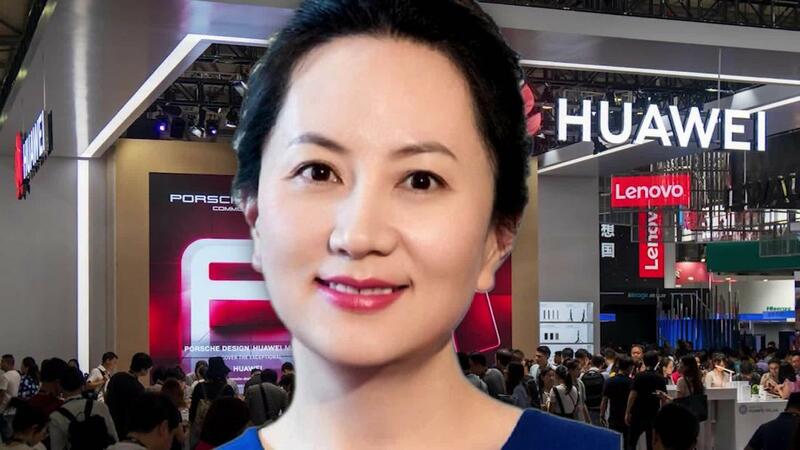 China says arrest of Huawei CFO part of ‘political conspiracy’ by Canada, U.S. 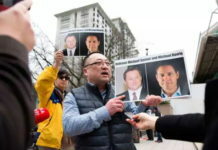 The Chinese embassy in Canada says the Vancouver arrest of a top Huawei executive amounts to a “political conspiracy” to undermine the telecom giant and it dismisses Prime Minister Justin Trudeau’s assertion that he had no role in the high-profile case. The embassy told The Globe and Mail that Canada and the United States are persecuting Huawei by detaining chief financial officer Meng Wanzhou on allegations of fraud related to possible violations of U.S. trade sanctions against Iran. The embassy had no comment on the detaining of former Canadian diplomat Michael Kovrig in China. The detention of Mr. Kovrig comes after Beijing had threatened “serious consequences” if Ottawa did not immediately release Ms. Meng. 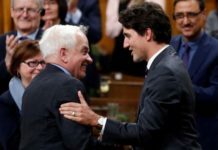 The Prime Minister’s Office said it would not comment on the embassy’s toughly worded statement but the U.S. ambassador to Canada flatly dismissed the allegations of a political conspiracy. “Absolutely false,” Ambassador Kelly Craft said in an interview with journalists at her residence Tuesday. David Mulroney, a former Canadian ambassador to China, called the Chinese embassy’s statement about political conspiracy and persecution “both outrageous and irresponsible.” He said what is happening to Ms. Meng now is a “textbook example of due process” that China should respect. “Ms. Meng has a top-quality lawyer. She is having her days in court. She understands the procedures. The media is covering it. 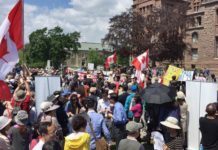 Pro-Meng demonstrations are tolerated … instead of condemning it, China should perhaps try to learn from it,” Mr. Mulroney said. Ms. Craft, who expressed concern about China as a growing economic and military threat to the world, said it would be improper to discuss the U.S. legal case against Ms. Meng, the daughter of Huawei founder Ren Zhengfei. The U.S. government alleges Huawei’s CFO committed fraud in 2013, when she misled American financial institutions about her company’s links to a Hong Kong firm doing business in Iran, opening the banks to risk of violating U.S. sanctions. None of the allegations against Ms. Meng have been proven in court. “It is a very delicate process and I don’t want to be involved in something that is an ongoing independent judiciary process,” Ms. Craft said. Mr. Trudeau has acknowledged he knew days in advance of the pending arrest of Ms. Meng, but maintains there was no political involvement and the decision was made by officials in Canada’s Justice Department at the request of U.S. law enforcement agencies. 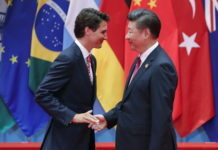 The detention of Ms. Meng has placed Canada in the middle of global power struggle between the United States and China. Both counties are fighting over attempts by Washington to persuade allies, including Canada, to ban Huawei from supplying equipment for the next generation 5G mobile networks in their respective countries. He said other countries are increasingly coming to the realization they must hold China to a common standard but “China seems determined” to resist. Ms. Craft was reluctant to discuss the U.S. campaign to convince Canada to join the majority of the Five Eyes intelligence alliance to block Huawei from supplying 5G technology. Three of the Five Eyes allies – U.S., Australia and New Zealand – have already taken steps to ban or limit Huawei’s participation in 5G. The United Kingdom, which is also a member along with Canada, has not made a decision yet, although its biggest telecom – BT Group – announced last week that it was tearing out all its Huawei equipment and would not purchase the Chinese company’s 5G gear. The Five Eyes partners share intelligence on espionage, terrorism and global crime. 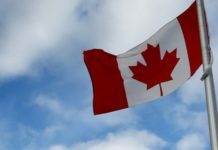 Canada is conducting a national security review to determine if it is safe for Canadian telecoms to use Huawei’s 5G equipment. The U.S. ambassador also said Canada and other U.S. allies must be alert to China’s Belt and Road initiative to fund large-scale investments in projects from railways to highways in poorer countries across Asia and Africa. Beijing is pouring US$1-trillion into building railways, ports and pipelines in what many experts regard as a state-directed effort to bolster Chinese political influence and extend its military reach from Asia to Africa. Ms. Craft said China’s grand plan has left many of these countries indebted to Beijing while many of the jobs from these projects go to Chinese workers. She also expressed longstanding U.S. concerns that China has been stealing intellectual property from Western countries, including Canada.